Take a trip into your attic or garage and you are sure to find the accumulated detritus of the past decades just waiting to be rediscovered, or rather taking up space that could be put to better use. The rise in the popularity of games consoles over the past half-century has meant that many households will be stuffed with legacy machines that are no longer used but end up cluttering the place. The problem is that until recently every games console has required physical copies of all the games, along with an endless number of peripherals, all of which needs to be kept somewhere. Luckily you can make money from your old consoles, which will not only free up some room but also let you invest in newer systems like the upcoming Xbox One and PlayStation 4 without breaking the bank. You can now sell games consoles for cash through a variety of mediums, with web-based auctions and buyback schemes giving you plenty of outlets via which you can recoup some of the residual value of ageing systems. Make sure that if you decide to sell your console you are doing so through a reputable service. Also ensure that if you opt to sell it privately that you are honest about its condition and provide an accurate description so that potential buyers are more likely to be satisfied. 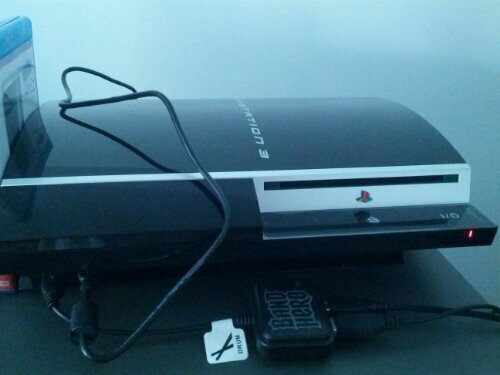 If you have the room then it could be worth storing a console at home to sell it later, particularly if you think it will become a classic and could go up in value. This really only applies to rare consoles, so there is little point hanging onto a PlayStation 3 or Xbox 360 since the combined sales of these internationally have surpassed 140 million units and there should be no shortage of used models knocking around. Rare games, on the other hand, are easier to acquire and take up less space, so keeping this as an investment could be worthwhile, even if you are selling the console that supports them. Aside from de-cluttering your home, one of the top reasons to sell a console is that it will let you get a bit of cash that you can then use for whatever you wish, whether it is paying the bills or buying a new system altogether. At the end of 2013 there will be a full complement of next-gen consoles on offer, with Nintendo’s Wii U being joined by the Xbox One and PlayStation 4 in November. The Xbox One will set UK buyer back £429 while the PS4 is a marginally cheaper £349, although neither is going to be considered a steal. That means saving up the pennies now, perhaps by selling an old console to make a bit of cash, will make sure that the arrival of these new machines will not leave a big dent in your bank account by the time Christmas rolls around again later this year.